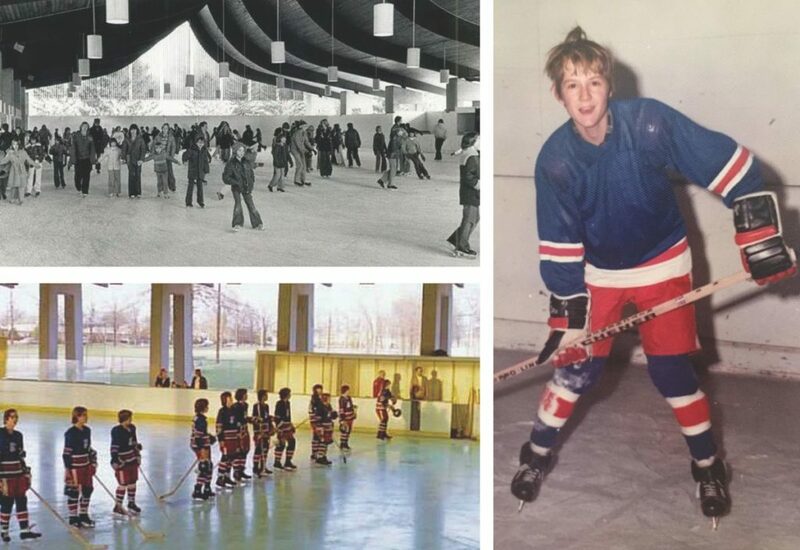 For 20 years, from 1962 to 1982, the Fairview Park Ice Rink enjoyed its glory days. According to Decatur Park District figures, more than 45,000 residents of all ages skated ’round the rink the winter of 1971-72, a record year for the facility. Many folks recall the charm of skating outdoors and warming up with hot chocolate next to the huge fireplace. The rink also hosted the Decatur Hockey Team, and walls were added to keep the pucks inside. The Fairview rink closed in 1982, when the Decatur Civic Center indoor skating rink opened. Today, the Civic Center rink is home to recreational skaters, as well as to Decatur Youth Hockey Association hockey teams.